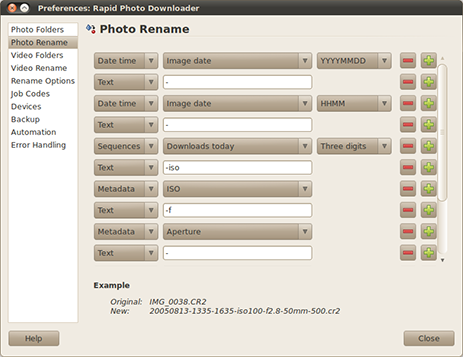 Rapid Photo Downloader is an application for professional and amateur photographers, designed for use on the Linux desktop. It can download photos and videos from multiple cameras, memory cards, and portable storage devices simultaneously. It provides many flexible, user-defined options for subfolder creation, photo and video renaming, and backup. * Added Norwegian Nynorsk translation. Updated Chinese, Finnish, Hungarian, Dutch, Occitan (post 1500), Polish, Brazilian Portuguese, and Russian translations. * Fixed crash on startup when checking for freespace, and the download folder does not exist.